These scientifically-backed reasons prove that just a little more sleep can have a positive impact on your student life. Researchers at Ghent University and KU Leuven took a surveyed 621 students about the quality of their sleep. The study found that, “students who increased their night’s sleep from six to seven hours were rewarded with an average increase of 1.7 points (on a scale of 20) for each exam. Of course, it goes without saying that the optimal sleep time varies for each individual.” In a nutshell? “All else equal, students who generally got a good night’s sleep performed better on exams,” says Dr. Stijn Baert (Ghent University). According to researchers at both Harvard University and Boston College, during sleep "people seem to strengthen the emotional components of a memory during sleep, which may help spur the creative process," as reported on Health.com. 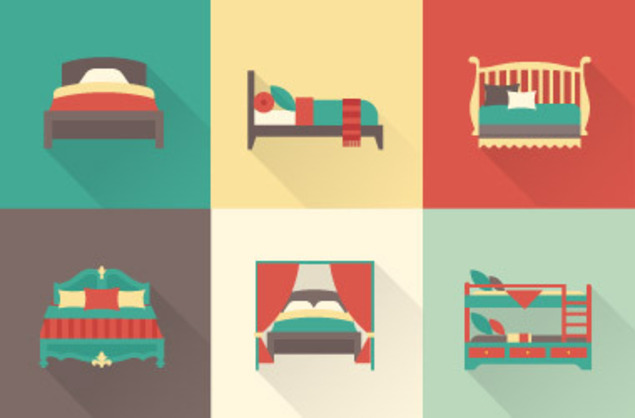 So, before you embark on a creative project, refresh with a full night's rest. Perhaps your next project could be the next breakthrough in artistic vision - it may be all you need to discover your potential Picasso. A 2014 research study found that sleep can help improve one’s memory. It’s no secret that your mind functions best on a good night’s rest. But, as you sleep, your mind also allows you to review and recap what you’ve learn in order to better retain it for the future. So, whether you’re trying to memorize for an exam or just would like to remember a great experience for years to come, sleep is on your side. According to A National Institutes of Health study released in 2013, a good night’s rest allows the brain to flush out toxins during sleep. Other studies have linked such toxins to neurodegenerative disorders, such as Alzheimer’s disease. When studied, the toxins disappeared faster when asleep than when awake, suggesting that toxins are released during the sleep cycle. This find absolutely highlights the importance of sleep in maintaining a healthy body – as it’s necessary for the body to perform significant bodily functions, clearing out brain toxicity just being named as one example. According to the Academy of Sleep Medicine, as well as countless other research studies, found significant links between lack of sleep and risk for major depression. In fact, “Results suggest sleeping six hours or less per night increases the risk for major depression, which in turn increases the risk for decreased sleep among adolescents.” Within the report, American Academy of Sleep Medicine President Dr. M. Safwan Badr states, ““Healthy sleep is a necessity for physical, mental and emotional well-being.” And that’s not all – the duration and timing of your sleep schedules can also become associated with your thoughts, whether positive or negative, according to a 2014 Cognitive Therapy and Research Study. The study reveals that, “higher levels of repetitive negative thinking (RNT; a perseverative and abstract focus on negative aspects of one’s experience) are associated with reduced sleep duration.” Translation: you sleep less; you’re more likely to focus on the negative. Additionally, “Individuals who endorsed a preference for later sleep and activity times also reported more RNT.” Translation: you go to bed late, you’re also more likely to focus on the negative. “These findings suggest that RNT may be uniquely related to both sleep duration and timing.” Translation: You go to bed late and don’t sleep for very long, you’re especially linked to the risk factors. We may not all be professional athletes, nor will we ever become them. But, just knowing that your body can have increased athletic ability with a little more shut-eye? That’s worth listening. In November 2014, Stanford researcher Cheri D. Mah set out to answer the question, “If an athlete gets more sleep than his or her competitors, will that lead to an edge?” Interestingly enough, until Mah, no researcher had ever set out to do a study to see if increased sleep would impact the performance of competitive athletes. Mah begin working with the Cardinal men’s basketball team, tracking the players’ normal schedules – sleeping an average of 6.5 hours a night. She also tracked their normal athletic performances in different categories on their regular schedules. After data was collected, Mah instructed the players to sleep as much as possible per night (with the goal of ten hours per night) for the next five to seven weeks. (Wrist sensors tracked their actual sleep time had changed from 6.5 hours per night to around 8.5 hours per night.) “By the end of the extra-sleep period, players had improved their free throw shooting by 11.4 percent and their three-point shooting by 13.7 percent. There was an improvement of 0.7 seconds on the 282-foot sprint drill—every single player on the team was quicker than before the study had started. A 13-percent performance enhancement is the sort of gain that one associates with drugs or years of training—not simply making sure to get tons of sleep.” As a result, the research findings strongly suggest that most athletes – professional or otherwise - would perform much better with more sleep. Read more about Mah’s Sleep Study with the Cardinals. A lack of sleep can enhance dark circles, puffy eyes and releases a stress hormone called cortisol, which can eventually break down skin collagen, which is a protein that keeps skin looking smooth and elastic. The best way to avoid any of this from happening? You guessed it. Sleeping. Sleep experts also say that, "during deep sleep, growth hormones are released, which helps in increasing our muscle mass, thickens our skin and strengthens our bones as we grow old and promotes our growth when we were young," according to an article on Before It's News. And that amazing protein, collagen? You know, the one that keeps skin looking young? Scientists have found that collagen's formation is highly dependent on a sequence of biochemical events which take place during a night of restful, deep sleep. A research study at the University of Pennsylvania set out to examine the effects of sleep restriction on weight gain, faily caloric intake and meal timing. In short, the study determined that the restriction of sleep promotes weight gain. As the study stated, “Chronically sleep-restricted adults with late bedtimes may be more susceptible to weight gain due to greater daily caloric intake and the consumption of calories during late-night hours.” Other University of Pennsylvania research studies published between 1996-2011 found, over several studies that fewer than six hours of sleep per night is potentially linked to the provoking of hormonal changes in one’s body, which are linked to obesity. These changes include: an increase in a hunger-stimulating hormone called ghrelin, a increases in insulin sensitivity - which is a risk factor for diabetes - and decreases in leptin, a hormone that is necessary for energy, balance and food intake – all of which impacts the body’s ability for proper weight regulation. The National Sleep Foundation also reports that "people who don’t get enough sleep are more likely to have bigger appetites due to the fact that their leptin levels (leptin is an appetite-regulating hormone) fall, promoting appetite increase." That means, you may think you just have a big appetite, but there are underlying hormonal factors causing it. So, the more you sleep, it seems, the easier it may be to maintain a healthy weight. Who knew? Using statistics backed by a Penn State study, Time Magazine reported that short sleeps (or even unusually long sleepers) die younger than those who get normal amounts of sleep. In fact, the study found that “insomniac men who slept less than 6 hours per day were four times more likely to die than those who got a full night’s rest. The study even adjusted for other medical conditions that affect sleep (and death rates), such as obesity, alcohol and depression. Of note, sleep deprivation did not affect women’s mortality,” according the Time Magazine article. Although, Health.com reports that, according to a 2010 study, "women ages 50 to 79, more deaths occurred in women who got less than five hours or more than six and a half hours of sleep per night." As a student, perhaps restructuring your entire sleep schedule isn’t always a feasible option at this point. However, here’s a compromise we’d like to propose: why not consider shutting off the television, closing out your social media accounts or whatever else you do as a pre-bedtime ritual? Just an extra hour of sleep per night could make a huge difference in your world!